Optus says we could have 5G as early as next year. 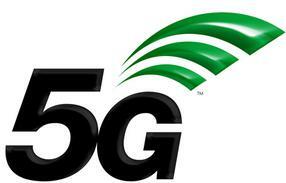 The 5G network could deliver speeds up to 15 times faster than 4G. 5G is the culmination of a number of new mobile technologies. Optus has said we could have a 5G network as early as next year. The telco recently conducted an outdoor trial which saw download speeds of up to 2Gbps - a rate 15 times faster than the current 4G network. At these speeds, 5G may even be poised to outstrip the NBN - especially considering it's completely wireless. Optus Managing Director of Networks Dennis Wong said, “People have been hearing about 5G for some time, and there is pent up expectation, but to date a lot of the talk has been highly theoretical. “Everyone has heard of concepts like self-driving cars, smart homes, AI and virtual reality however their full potential will require a fast and reliable network to deliver. Seeing 5G data speeds through our trial that are up to 15x faster than current technologies allows us to show the potential of this transformative technology to support a new eco-system of connected devices in the home, the office, the paddock and in the wider community." Optus plans to showcase the 5G technology at the 2018 Gold Coast Commonwealth Games, allowing visitors to Broadbeach to get a taste of what 5G will have to offer. The Gold Coast is also the site of Telstra's 5G Innovation Centre, which opened yesterday as part of a $60 million investment Telstra has made to upgrade infrastructure in the area. The centre will be a hub for 5G development, but will also be open to the public for demonstrations of the download speed available, as well as 5G's application in drone piloting and robotics. COO Robyn Denholm said “5G has the potential to transform the way we all live and work. Like previous generations of mobile technology it will deliver more capacity and faster data speeds but on top of that it will support vastly more connected devices at very high levels of reliability and lower latency." 5G is the combination of a number of new mobile technologies, such as the use of new parts of the radio spectrum; smaller and more numerous transmitters; and the ability for transceivers to receive and transmit data simultaneously.